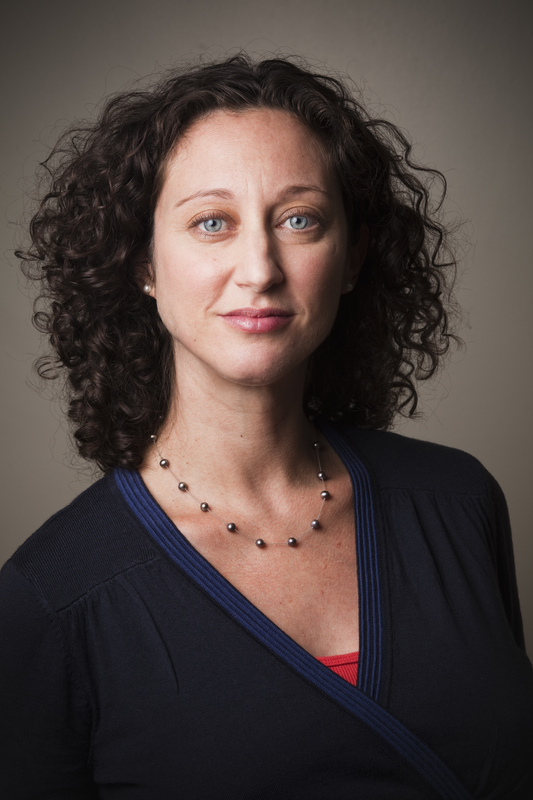 Jennifer Fishman is Associate Professor in the Biomedical Ethics Unit and the Department of the Social Studies of Medicine, and an Associate Member of the Sociology Department and the Institute for Health and Social Policy. She holds a Ph.D. in Sociology from the University of California, San Francisco. Dr. Fishman is a sociologist of science, technology, and medicine. She uses empirical qualitative methods to describe and analyze the emergence of new medical knowledge and technologies, from the early stages of development to their integration into clinical practice and dissemination to clinicians and patients. Often referred to as “empirical ethics,” she analyzes the oft unexamined and presumptive ethics and values within new scientific enterprises and how these impact research trajectories, technological diffusion and commercialization, and ultimately patients/consumers. She has studied new pharmaceutical drug development and advertising, anti-aging science and medicine, direct-to-consumer genetic risk susceptibility testing, end-of-life medical decisions, prenatal genetic carrier testing panels, and the promise of personalized genomic medicine. Her new project will examine the early translation of epigenetic research and knowledge into public health and media messages to prospective parents. Clarke, Adele E., Jennifer Ruth Fosket, Laura Mamo, Jennifer R. Fishman and Janet K. Shim, (eds). (2010) Biomedicalization: Theorizing Technoscientific Transformation in the United States. Durham: Duke University Press. Mamo, Laura and Jennifer R. Fishman. (eds.) (2013) Entanglements in Science, Ethics, and Justice. Science, Technology, and Human Values. 38(2). Karkazis, Katrina and Jennifer R. Fishman. “Tracking Professional Athletes: The Ethics of Biometric Technologies.” American Journal of Bioethics. 16(1): 45-60. McGowan, Michelle L., Suparna Choudhury, Richard A. Settersten, Jr, Eric T. Juengst, and Jennifer R. Fishman. “’Let’s pull these technologies out of the ivory tower’: The politics, morals, and ironies of participant-driven genomic research.” Biosocieties. Accepted. Juengst, Eric T., Michelle L. McGowan, Jennifer R. Fishman and Richard A. Settersten, Jr. (2016) “From ‘Personalized’ to ‘Precision’ Medicine: The Ethical and Social Implications of Rhetorical Reform in Genomic Medicine.” Hastings Center Report. 46(5): 21-33. Woolley, Patrick, Michelle L. McGowan, Harriet Teare, Victoria Coathrup, Jennifer R. Fishman, Richard Settersten Jr., Sigrid Stercyx, Jane Kaye, and Eric T. Juengst. (2016) “Participant-Driven Research or Scientific Citizenship? Disentangling the Uses of Public Engagement Rhetoric in National Research Initiatives.” BMC Medical Ethics. 17:33. Fishman, Jennifer R., Michael A. Flatt, and Richard A. Settersen, Jr. (2015). “Bioidentical Hormones, Menopausal Women, and the Lure of the ‘Natural’ in Anti-Aging Medicine.” Social Science and Medicine. Wright, David R., Fishman, Jennifer R., *Hadi Karsoho, Sarah Sandham, and Mary Ellen Macdonald (2015) “Physician perspectives concerning requested death: a print-media analysis.” CMAJ Open. McGowan, Michelle L., Jennifer R. Fishman, Richard A. Settersten, Jr., Marcie A. Lambrix, Eric T. Juengst (2014) “Gatekeepers or Intermediaries? The Role of Clinicians in Commercial Genomic Testing.” PLoS ONE 9(9): e108484. doi:10.1371/journal.pone.0108484. Choudhury, Suparna, Jennifer R. Fishman, Michelle L. McGowan, and Eric T. Juengst (2014) “Big Data, Open Science and the Brain: Lessons Learned from Genomics.” Frontiers in Human Neuroscience. 8:239. doi: 10.3389/fnhum.2014.00239. Messerlian, Carmen and Jennifer R. Fishman (2014) “Less is More: Improving Outcomes and Cutting Costs to Quebec’s Assisted Reproduction Program.” CMAJ. 186(6): 405-406. McGowan, Michelle L., Richard A. Settersten, Jr., Eric T. Juengst, and Jennifer R. Fishman (2014) “Integrating Genomics into Clinical Oncology: Ethical and Social Challenges from Proponents of Personalized Medicine.” Urologic Oncology: Seminars and Original Investigations. 32(2): 187-192. Flatt, Michael A., Richard A. Settersten Jr., Roselle Ponsaran, and Jennifer R. Fishman (2013). “Are ‘Anti-Aging Medicine’ and ‘Successful Aging’ Two Sides of the Same Coin? : Views of Anti-Aging Practitioners” Journal of Gerontology: Social Sciences. 68(6): 944-955. Mamo, Laura and Jennifer R. Fishman (2013) “Why Justice? Introduction to the Special Issue on Entanglements in Science, Ethics, and Justice” Science, Technology, and Human Values. 38(2): 159-175. Juengst, Eric T., Richard A. Settersten Jr., Jennifer R. Fishman, and Michelle L. McGowan (2012) “After the Revolution? Ethical and Social Challenges in ‘Personalized Genomic Medicine’.” Personalized Medicine. 9(4): 129-139. Fishman, Jennifer R., Richard A. Settersten, Jr. and Michael A. Flatt (2010) “In the Vanguard of Biomedicine? The Curious Case of Anti-Ageing Medicine.” Sociology of Health and Illness. 32(2):197-210. McGowan, Michelle L., Jennifer R. Fishman, and Marcie A. Lambrix (2010) “Personal Genomics and Individual Identities: Motivations and Moral Imperatives of Early Users.” New Genetics and Society. 29(3): 261-290. Fishman, Jennifer R., Robert H. Binstock and Marcie A. Lambrix. (2008) “Anti-Aging Science: The Emergence, Maintenance, and Enhancement of a Discipline” Journal of Aging Studies. 22(4): 295-303. Fishman, Jennifer R. (2015) “Manufacturing Desire: The Commodification of Female Sexual Dysfunction.” In The Pharmaceutical Studies Reader. Edited by Sergio Sismondo and Jeremy Greene. Wiley-Blackwell. (Reprint). Fishman, Jennifer R., and Michelle L. McGowan (2014) “Will Personalized Medicine Transform Our Selves?” in Genetics as Social Practice: Transdisciplinary Views on Science and Culture. Edited by Gabriele Werner-Felmayer, Silke Schicktanz, and Barbara Prainsack, Theory, Technology, and Society Series. Ashgate Press. Pp. 29-42. Fishman, Jennifer R. (2010) “The Biomedicalization of Female Sexual Dysfunction” in Biomedicalization: Theorizing Technoscientific Transformation in the United States. Edited by A. Clarke, J.R. Fosket, L. Mamo, J.R. Fishman, and J.K. Shim. Durham: Duke University Press. Pp. 289-306. Binstock, Robert H. and Jennifer R. Fishman. (2010) “Social Dimensions of Anti-Aging Science and Medicine” in The SAGE Handbook of Social Gerontology. Edited by Chris Phillipson and Dale Dannefer. Chicago: University of Chicago Press. Pp. 472-482. Mamo, Laura and Jennifer R. Fishman (2008) “Potency in all the Right Places: Viagra as a Technology of the Gendered Body.” in Technology Studies, Volume Four Edited by Rayvon Fouché. Volume in Book Series, Key Issues for the 21st Century. London: Sage Publications. (Reprint). Fishman, Jennifer R. (2007) “Making Viagra: From Impotence to Erectile Dysfunction” in Medicating Modern America. Edited by Andrea Tone and Elizabeth Siegel Watkins. New York: New York University Press. Pp. 229-252.